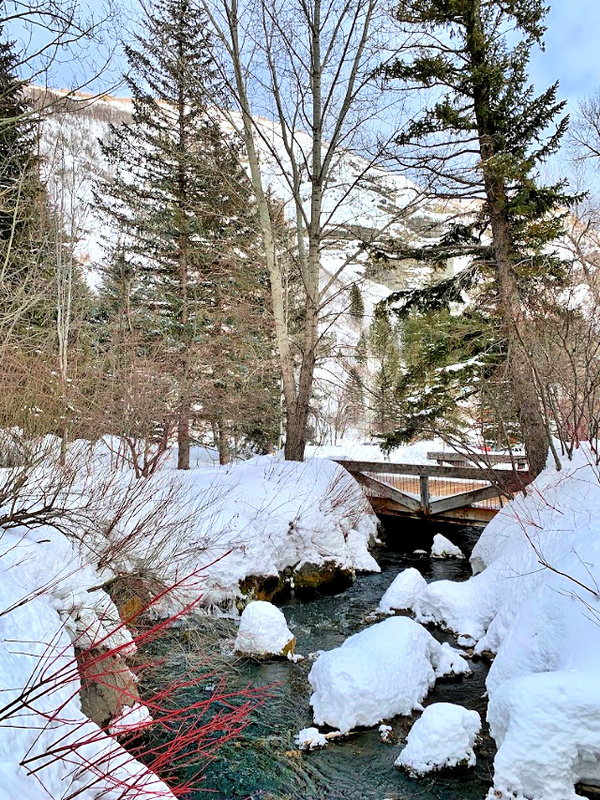 10 Things to do in Sundance, Utah - C.R.A.F.T. Andy and I love to ski! 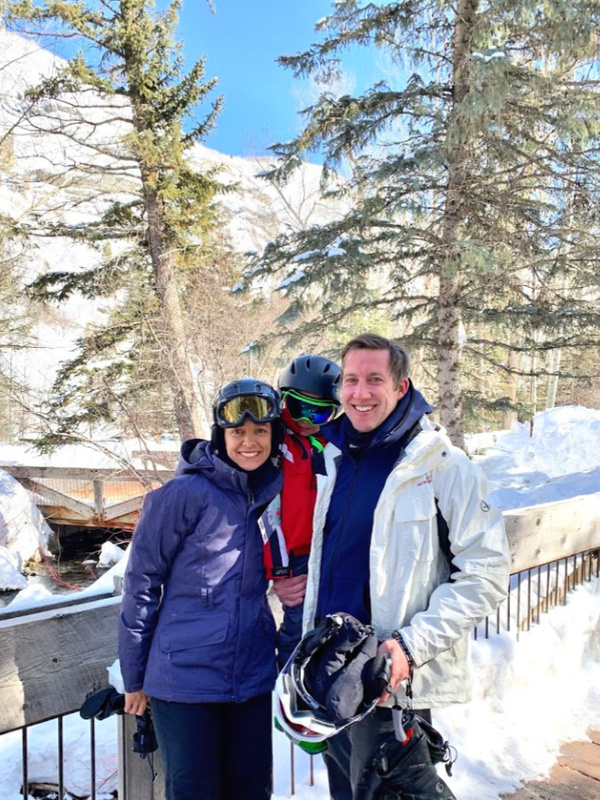 We’ve skied together most years before we had kids, but once Maxwell was born in 2014, the ski trips got trickier. We took Maxwell and our favorite baby-sitter with us when he was 9 months old. (He learned to walk on that trip!) Our second ski trip post kids, Andy and I snuck away for a long weekend and left him home with my mom before our daughter was born. 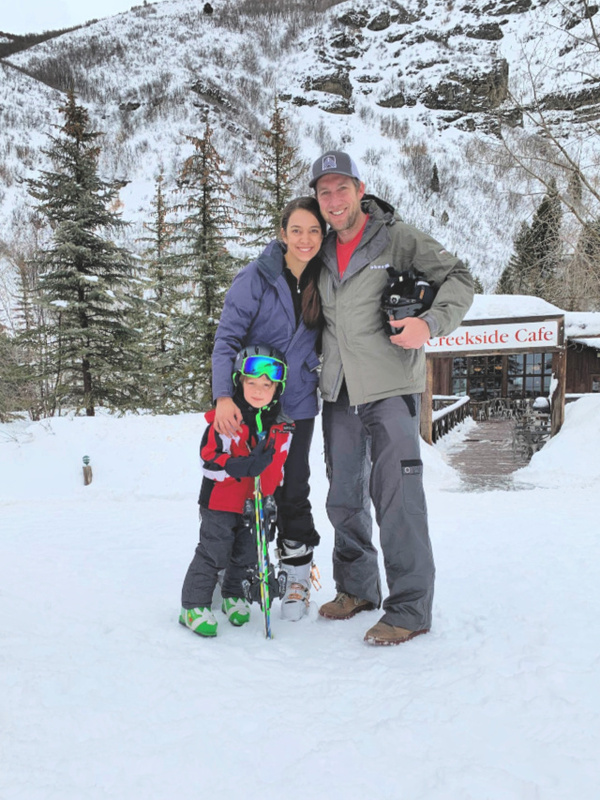 For our third ski trip post kids, we left Mila at home with the grandparents and took Maxwell with us so he could learn to ski. 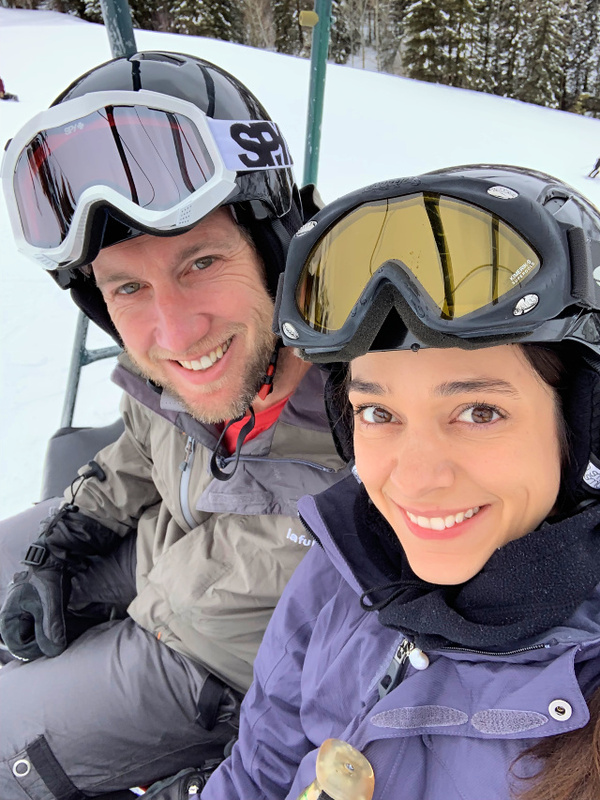 *I was gifted 2 days of ski lift passes for 2 adults, but we loved it so much we ended up skiing at Sundance our entire trip! 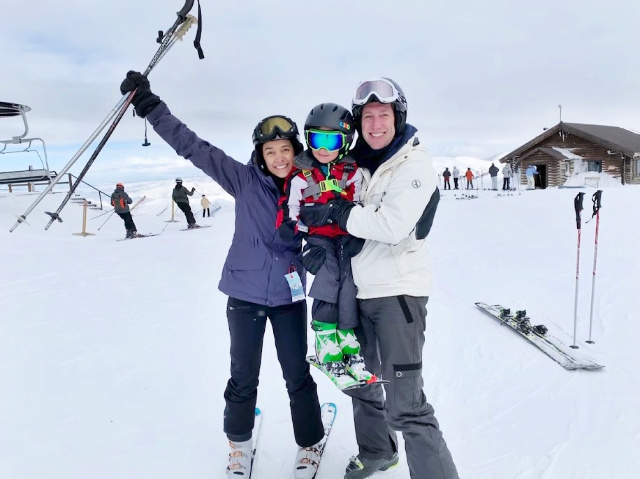 Three reasons we decided to ski at Sundance Resort in Utah. Austin to Salt Lake City is a non stop flight and Sundance is a 30 minute drive from Salt Lake City. One of Andy’s childhood best friends lives in Provo, Utah and has 4 kids. They raved about the lessons for kids at Sundance. Like I said above, we did not stay at the Sundance Resort, we drove 30 minutes every day to the resort from our Aribnb in Heber City, UT. The resort is lovely and I would absolutely consider staying there next time. For one, you get 2 free lift tickets each night you stay at the resort! 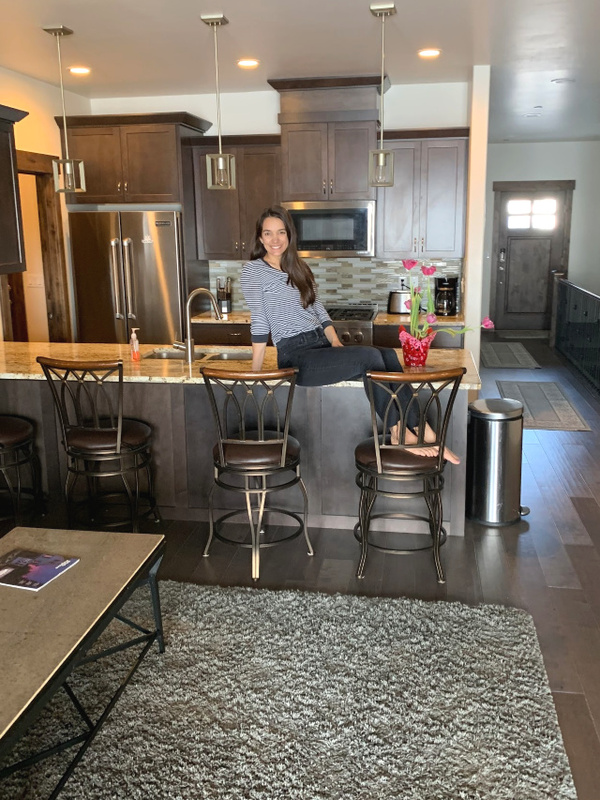 If you’re looking for an Airbnb and you don’t mind driving, check out our 3 bedroom, 2.5 bathroom (+ a hot tub!) town home! If you’re coming to Sundance, skiing (or snowboarding) is a no brainer! We were thrilled with the quality and ease of the ski school, not to mention kids 5 and under get free lift tickets! The ski school was incredible, I can’t say enough good things about the instructors and lessons. 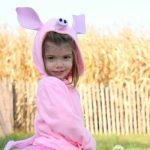 Sundance calls the 4-5 year age group the Wild Bunch and the group lessons are for 2.5 hours in the morning or afternoon. Maxwell did the morning 10 am-12:3o pm lesson for 4 days. For this age group, the ratio is 1 instructor to 2 kid ratio and costs $120 when you book online. He got lucky and ended up with a private lesson 3 of those 4 days. Amazing, right?! Maxwell loved, Olivia, his instructor for 3 days and came back telling us how fun it is to ski. The snow fairy hides eggs with toys in the snow for kids leanring to ski, and Olivia used colored water to spray the snow to teach kids to turn. 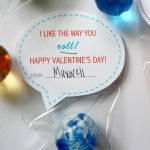 They make it fun! Maxwell really enjoyed his time with Olivia and by the 2nd day was skiing blue runs with us in the afternoon! Best part? Andy and I were able to ski alone for two and half hours every morning! This is something we didn’t get a chance to try since we were not staying at the resort, but it sounds magical! The light up the front of the mountain on Monday, Wednesday, and Friday, and Saturday nights from 4:30- 9pm. Sundance offers 10 kilometers of snowshoe only trails through the woods! This is another activity I’ve always wanted to try, but we have such limited time in the mountains, we typically spend it all down hill skiing! I heard you can rent a tow behind sled for $15 that attaches to your waist for 1-2 younger passengers. 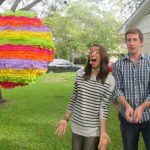 How fun is that? A trail pass is free for kids 6 and under and adults 65 and older. For a full day pass it is $18 for adults and half price for kids 7-17. 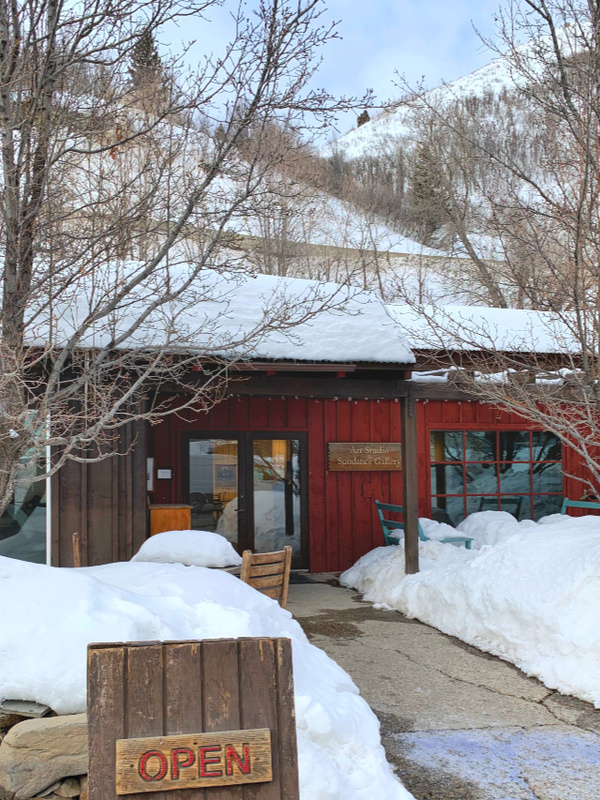 The art studio at Sundance is a short walk from the ski lift. It’s open from 10am-5pm daily and you can walk in and see glass blowing happening most days for free! There are also make and take workshops that require no reservation and range from $20-$40 depending on the project. I saw a printmaking workshop in action when I stoped in while waiting for Andy and Max to finish up a run. There are jewelry, pottery wheel, soap making, and painting classes as well. Meet at the base of Ray’s lift for a free mountain tour at 10am and 1pm. Or at Red’s lift at 10:30am and 1:30pm. I saw this in action while we were riding the lifts, but since we love to ski so much we did end up doing the zip line tour. Next time! This is the perfect activity for someone who doesn’t love skiing, but wants to explore the mountains magical views. The zip tours are available Wednesday- Sunday from January 2 – April 7. They are also popular in the summer! The fire pit was one of my favorite spots to hang at Sundance Resort. I enjoyed hanging out here while Max and Andy skied the last run if the day. It’s gorgeous, free, and offers views of the skiers coming down the mountain. Great people watching! These were our favorite restaurants at Sundance. 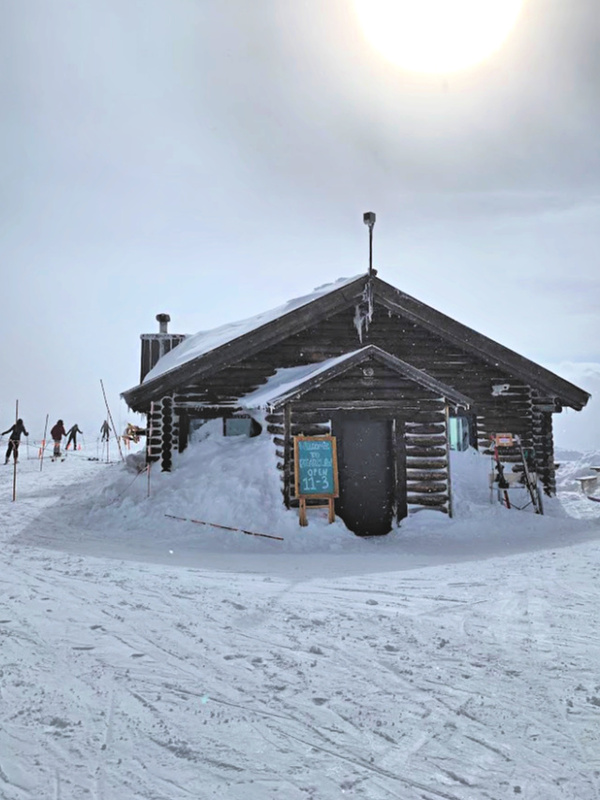 Bear claw cabin- This is the only mountain top eatery at Sundance. I highly recommend the nachos! It’s open 7 days a week 11am-3pm. Creekside Cafe- We ate most of our lunches at Creekside cafe. 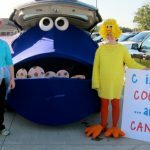 We loved the chili, hot dog bar, and a pork sandwich hit the spot. Oh and don’t forget the S’more bar! Foundry Grill- This is a sit down lunch spot and you a reservation is helpful. We had a delicious last minute lunch at the bar. Sundance Deli- This is the quickest spot to grab candy, snacks, or a delicious deli sandwich. 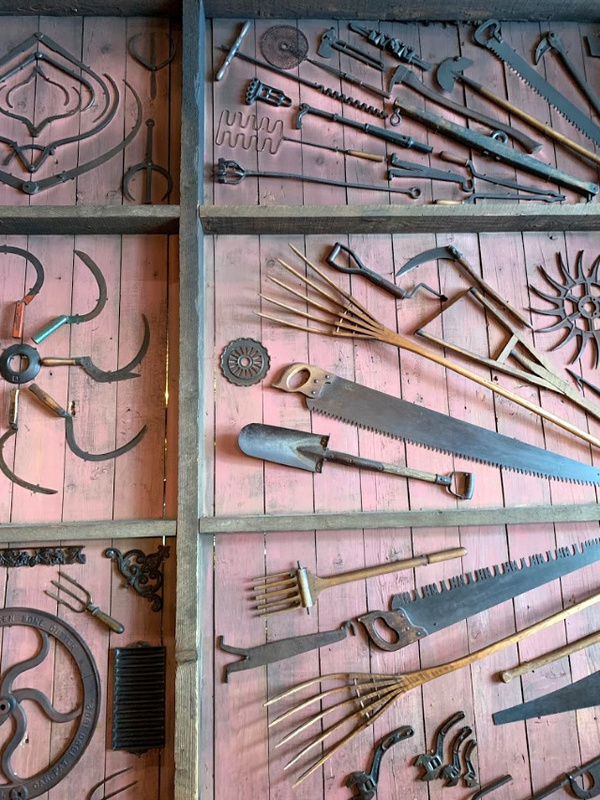 Maxwell loved the antique tool wall at the Foundry Grill! 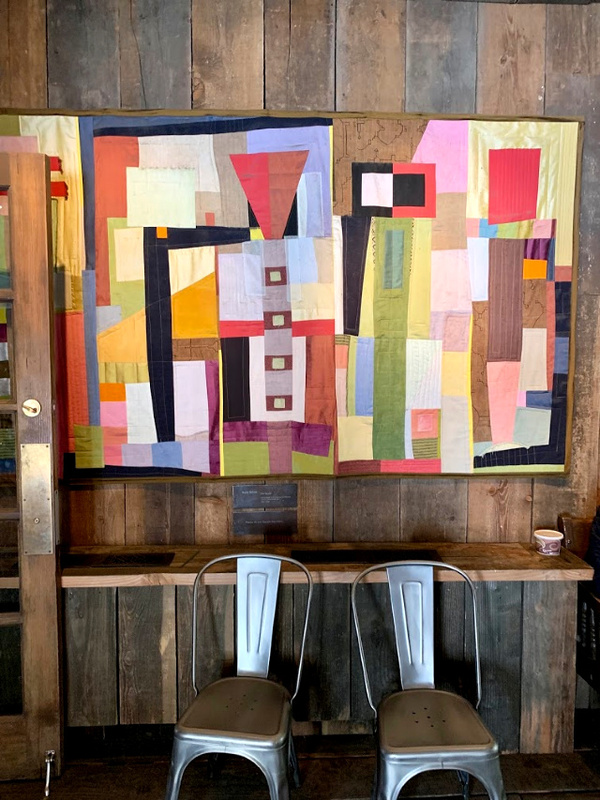 And last but not least, be sure to check out this gorgeous quilt that hangs in the same building with Foundry Grill and the Sundance Deli. It’s made by Kara DiOrio, and I love it! 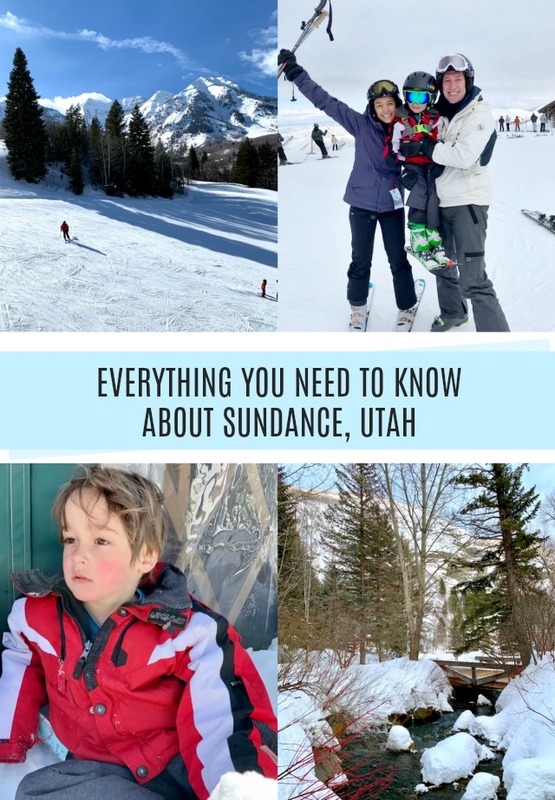 If you’re looking for a fun place to ski with kids, Sundance Resort is a winner!